Evans Maintenance Services Ltd Is A Privately Owned Company Based In North Wales. 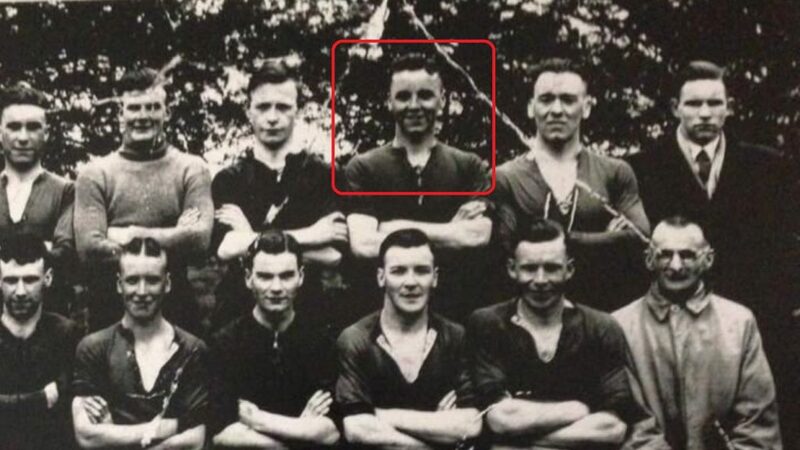 With A History Going Back To 1946, and Over 70 Years Within The Heating & Mechanical Services Industry. 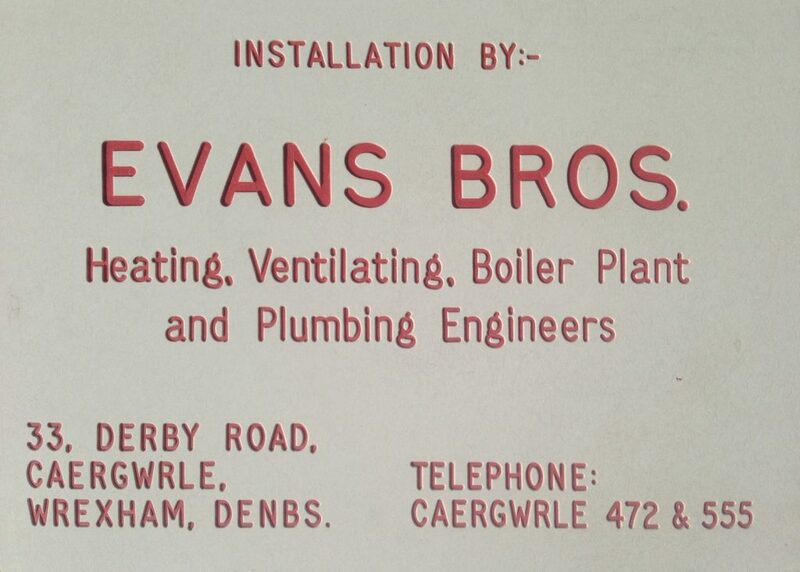 We have been installing heating systems for 70 years spanning three generations of the same family that initially started trading as Evans Bros Caergwrle in 1946. The company is still family owned today and its directors have over 116 years’ experience with the heating and ventilation mechanical services industry. We are one of the longest and most established heating contractors in North Wales and the North West with a reputation that is unparalleled. Building lasting client relationships that are just as important to us as a business as they were more than seven decades ago. 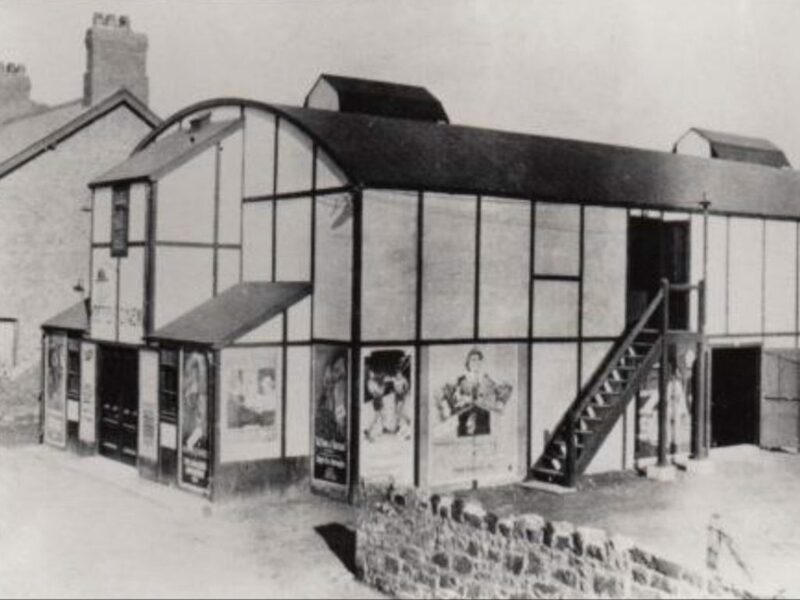 In the 70’s was when we bought the old Caergwrle Cinema which was built in the 1930’s and where we still occupy to this day. We are committed to acting in our clients’ best interests by offering flexible solutions, whilst continually exceed expectations on every level including customer care, quality of service and added value. We are committed to ensuring that all our staff receive training to be able to carry out their duties safely, and we are continuously monitoring in line with our training and development policy. Our commitment to health & safety of our employees and our clients are demonstrated by our accreditations and association with the Building Engineering Services Association, CHAS and Construction Line which involves being independently audited every 12 months. Are Our Engineers DBS Checked? Yes. We know our engineers well, but you don’t so that’s why we ensure all our field-based service engineers are DBS enhanced checked so that you have peace of mind. Working in schools, colleges, universities and healthcare environments, there should be arrangements in place to ensure that any contractors working in these premises with the opportunity for contact with children have been checked and it’s up to the head teachers and principals to ensure their obligations are met. That’s why we made it easier for our clients by ensuring all our engineers have been checked and to the enhanced level which means we have taken this beyond basic and standard, and removes the need for supervision while onsite. Evans Maintenance has derived from a family of heating engineers dating back 3 generations, encompassing 70 years of services to industry. We have gained a level of technical expertise and knowledge which is unparalleled. At Evans Maintenance our field based engineers are always on hand to provide service, maintenance and break down response on a rapid reaction basis to all our clients. We offer planned preventative maintenance aimed at reducing the risk of equipment failure, improving performance, efficiency and most importantly safety inspections and functional testing of your heating, hot water and ventilation equipment. We offer a fully traceable quality assured service. You can be confident that we will satisfy you requirements. Just head over to our service agreements page for more information and overview of our company and an explanation of how we operate.